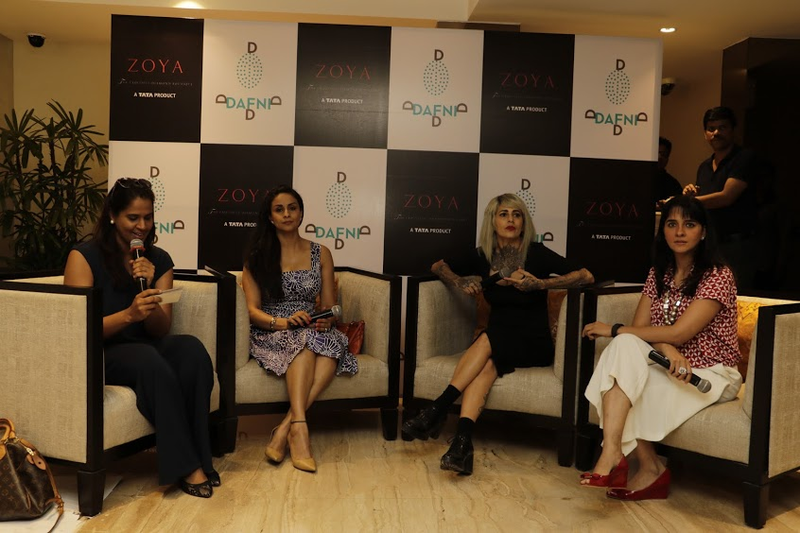 Mumbai, April 20, 2016 : Zoya, exquisite diamonds from the House of Tata, today hosted a panel discussion with three versatile and talented women – Gul Panag, Shruti Seth and Sapna Bhavnani, discussing trends in life, beauty and style for ‘Women-on the Go’. 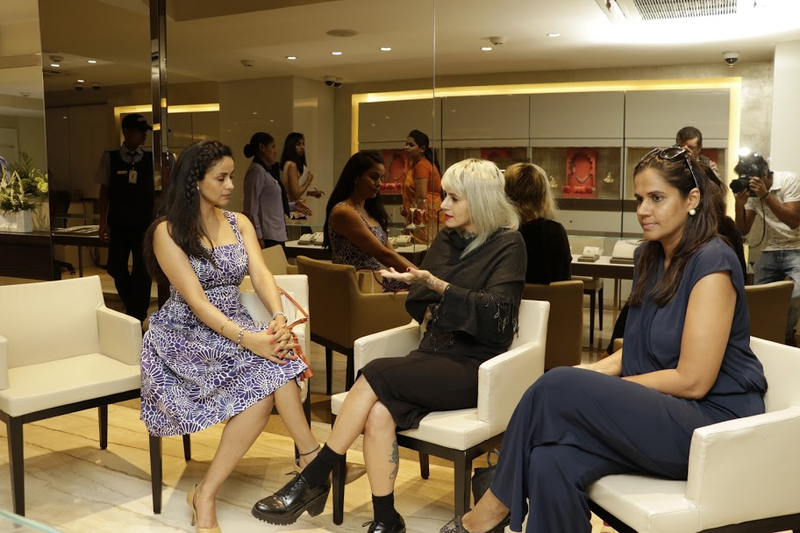 The evening included a preview of Zoya’s stunning new summer collection – Zoya Masterpieces and a demonstration of DAFNI, the revolutionary home solution for hair straightening, brought to India by Gul Panag and Tressmart. Zoya Masterpieces was the cynosure of the evening. “I am happy to be at Zoya. 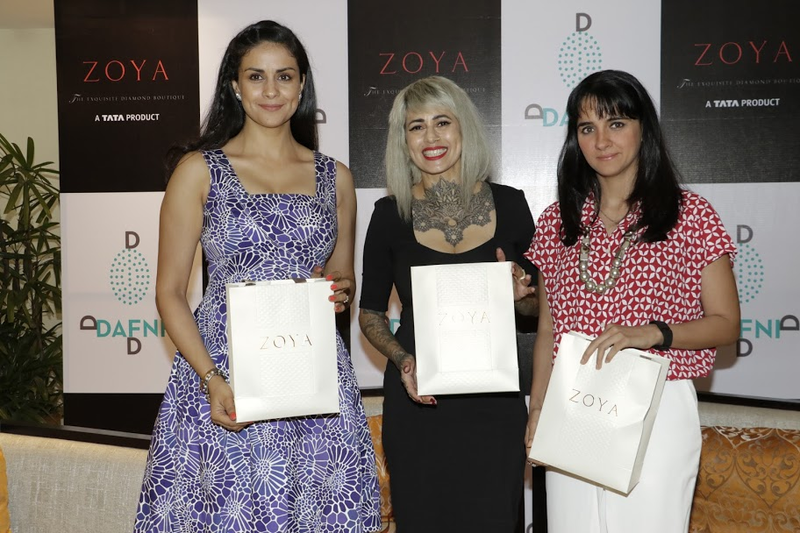 I appreciate the artistic design and fine craftsmanship of Zoya’s jewellery,” said Gul. A demonstration of DAFNI had guests enchanted. “Women today, play so many roles and are constantly multi tasking. In such an environment, time is the biggest asset. Solutions like Dafni provide valuable time saving while being safe and very intuitive in their use. This is the reason I feel passionate about the product and am delighted to bring it to India,” she added. “DAFNI is a revolutionary hair straightening brush. Simply brush your hair and it will be straight and smooth in minutes. No fuss, no clips - Just brush it. With DAFNI you are able to straighten your hair in just several minutes. Ready • Straight • Go!” said Gul. For more information on DAFNI visit www.tressmart.com. ABOUT ZOYA: Zoya is a chain of luxury diamond boutiques from the House of Tata renowned for its design and precision craftsmanship. 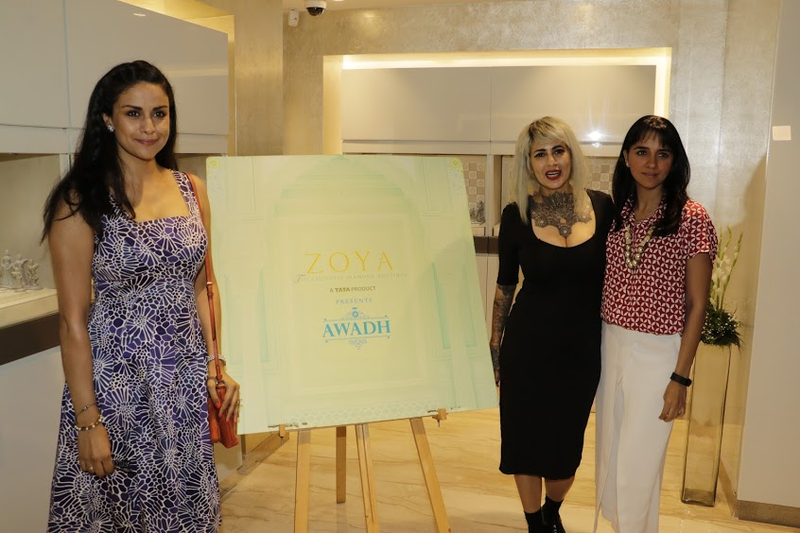 Both a product and retail brand, Zoya is a dazzling gallery of fine art, where indulgence comes alive in fine designs of gold, diamonds and precious stones.